Mike Cooley is one of the founding members of the Drive-By Truckers and many members of DBT nation have long waited for his first solo album. A live album isn’t exactly what they had in mind but it is still a nice addition to any DBT fan’s collection. 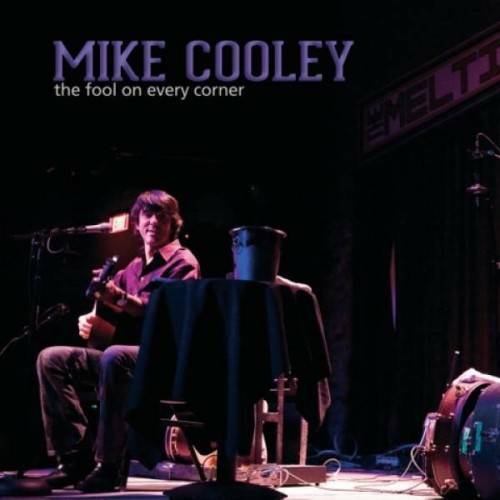 The Fool On Every Corner is a solo acoustic live album of nearly all Truckers songs recorded among some of the most die-hard fans Cooley and DBT has. The Fool On Every Corner only has a couple songs not on other records (the Charlie Rich cover “Behind Closed Doors” and “Drinking Coke and Eating Ice”) and neither of those will blow you away. This record is far from essential but is still unique enough to be very cool to hear. This entry was posted in 250 word album reviews and tagged 250 word album review, 3 stars, banjo, Cottonseed, DBT, Drinking Coke and Eating Ice, Drive-By Truckers, Live album, Marry Me, Mike Cooley, review, The Fool On Every Corner. Bookmark the permalink.